As of today, there are more than 200 known ranking factors that influence your website’s optimization in Google, one way or another. The good news is that, as a PT clinic owner, you don’t have to be aware or keep track of all of them. Google ranking factors change every once in a while, but not all ranking factors are equally important. If you really want to get your website optimization on a high level, you may need professional assistance, however, there are a handful of things you can do yourself in order to boost your PT clinic’s rankings on search engines. During the last few years, Google’s algorithms have changed a lot, but the general idea of the ranking mechanism remained the same – if your online marketing activities are aimed to deliver value to your clients, your website will rank higher on SERPs. Your blog is one of the most important pages on your website. The content you publish on your blog is also one of the biggest drivers of website traffic to your site. Depending on the quality of your blog posts, they will rank higher for a particular search term, thus increasing the chances of acquiring new visitors. Proper usage of keywords has always been important for SEO, but their influence has changed over time. Today, it’s not a good idea to have keyword stuffed content, which is only aimed to catch the attention of search engines. Instead, when creating content, use keywords in your text in a natural way and don’t use them too often: Your content should be aimed to provide value, education or useful information to the reader, and keywords should only be there to back up the high quality of content, not the other way around. Also, make sure to use high quality images and videos in your content marketing strategy. Images and videos are very popular among users, since they are able to deliver more information in less time. On top of that, content that has relevant, high quality images and videos is prioritized by Google, which means that you have a significantly higher chance to get to the top of SERPs if you utilize them correctly. Whenever you provide information for users on your PT clinic’s website, always think from their perspective. What are they looking for on your contact page? What is the best way to provide the information they want in an organized manner? How much information should you include on your contact page? Questions like these will help make your website more user friendly, which automatically helps optimize your website for Google and other search engines. For example, if users are mostly interested in how to get to your PT clinic, make sure to include a map with directions to your office. Also, provide your telephone number, email and social media accounts, in case users would want to contact you first, before visiting the office. Since February 2014, mobile web browsing surpassed desktop for the first time in history. What this means for business (including PT clinics) is that more and more users prefer to use their smartphones, tablets and other mobile devices to find the information they need. This is why it’s essential for your website to be mobile optimized. On April 21, 2015, Google released an update, which is now specifically targeted towards mobile optimization. Any website that doesn’t have an optimized mobile version will technically have no chance to rank high on Google search results. This goes back to the first point you read in the article – provide value to users. Since more and more people are using smartphones to browse the web, Google made mobile friendliness technically a must for any business who wants to acquire organic traffic via search engines. In order to show that your PT clinic’s website is worth appearing at the top of SERPs, you need to prove to search engines that it’s trusted by others. External links are technically the trust currency online, and the more high quality links you can acquire from high authority websites in your industry, the more you will increase that trust and as a result, improve your SEO. Educational institutions, magazines, journals and thought leaders are all great examples when it comes to acquiring high quality links. Reach out to those organizations or individuals, build relationships with them and ask them what you need to do in return to get a link back to your website. Usually, it won’t be anything big, but most PT clinic owners skip this important step, thinking that it will be too much of a hustle. Don’t be one of them. Lastly, you want to make sure that your website functions properly. Slow page load speed, a high number of broken links, poor website development and numerous (even tiny) bugs all affect the user experience of visitors and your rankings on search engines. Also, ease of navigation, design simplicity, intuitive user interface and safety are all important aspects of your website’s performance in the eyes of Google. Website optimization has always been a complex issue and even the most experienced SEO experts don’t know all the tricks of Google’s ever changing algorithm. However, the reality is that there is no need to focus on every aspect of SEO, if you simply focus on providing the best possible user experience to your patients on your PT clinic’s website. Whatever works best for visitors, works best for Google as well. This is the only formula you need to remember. At PatientSites.com we help PT clinics improve their search engine presence and climbing the ranks of SERPs. 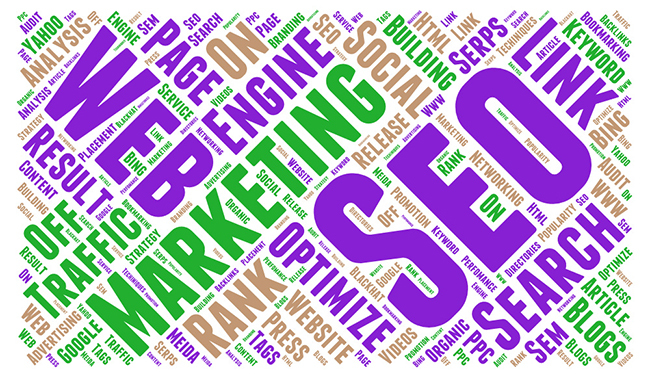 Proper SEO tactics, when combined with valuable content, can easily boost your website to the first page of Google. Find out how we do it.